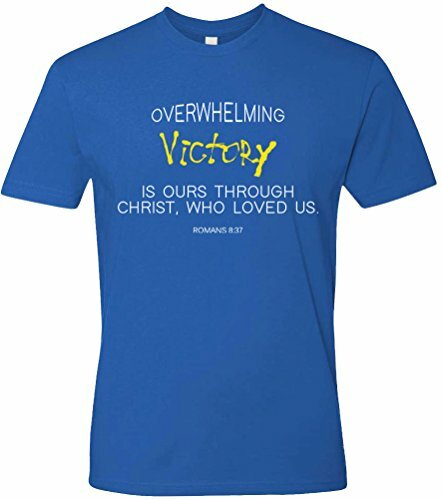 Through Christ we will be victorious - Romans 8:37. A shirt designed for those Christian warriors. If you are one. You got to have one! - Unique design on quality cotton men t shirt. Size (Chest Measurement) : Small (34"/36") Medium (38"/40") Large(42"/44") XL (46"/48") XXL (50"/52") XXXL( 52"/54") . Machine Washable. Fast Dispatch and International Delivery Available. Fast Dispatch & Safe Delivey. International Delivery Available. If you have any questions about this product by SuperPraise, contact us by completing and submitting the form below. If you are looking for a specif part number, please include it with your message.